How Do I Clean/Protect My Boat Bottom from Marine Growth? Why do weeds & grass grow on the bottom of my boat? How do I clean it off? And how can I stop it from growing back in the future? I keep my 28ft’ Searay in fresh water all summer long. Other boaters in the marina use paint on their boats. It seems to help a bit but they still have problems. Plus, every spring when it’s cold & wet, they have to re-paint! I do not want to paint my boat’s hull if I don’t have to. Is there a better way? First, haul the boat and move it on land, away from the water’s edge. Use a power wash to remove the algae, barnacles and zebra mussels growth off as much of as you can while the fouling is still wet. Alternatively, you can also use a deck brush. Finally, rinse off with a garden hose. In some cases, where growth is heavy or staining severe, re-application may be necessary until the bottom is clean. Make sure the bottom is cleaned and deoxidized with Boat Scrub before application. Simply wipe it on, rub it into the pores to seal them, and wipe away the haze. VS721 is self-polishing so you only need light buffer to get the desired results. The attachment of slime, algae, barnacles and Zebra mussels are only some of the things that can attach to your boat bottom. Collectively this phenomena is referred to as Fouling. Besides being unsightly, fouling growth can increase the roughness of the hull, decreasing the vessel’s performance and maneuverability, increasing drag, reducing speed and increasing fuel consumption. If left unattended, fouling leads to corrosion of the hull and to the vessel’s deterioration. 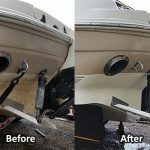 In high growth areas, it is common to hire divers to scrub the bottom of your boat every few weeks, even though you may have toxic antifouling paint on the bottom. Fouling begins with the attachment of bacteria. Bacteria is the oldest life form on the planet. It attaches to almost everything and when conditions are right proceeds to grow and multiply. It can appear as a slimy surface or can grow in a polymeric fashion to mimic hair or grass. It can be many different colors from blue green to brown or red. Once this slimy biofilm of bacteria attaches to the hull, more advanced life forms begin to attach, such as algae, protozoan, sea weeds, barnacles, mussels, sea squirts, tube worms and more. Each higher life form feeds on the more primitive and is attracted by the “Food” on you boats bottom. One of the reasons for not putting conventional carnauba based waxes on your bottom is that bacteria and algae feed on, and are attracted to it. Another problem that boater have, is that since these primitive life forms are microscopic in size, they attach in the microscopic pores of the gelcoat that your boat is made of. Even though you pressure wash, scrub and even use rubbing compound, the stain still remains. Of course stains can be caused by other means as well, but we’ll deal with those another time. To clean the fouling from the bottom of your boat, you will first have to haul it and move it on land, away from the waters edge. If you have access to a pressure washer, wash as much of the growth off, as you can, while the fouling is still wet. If not, use a scrub brush, such as a deck brush on a long handle and scrub off as much as you can. This will work, even if the growth has been left to dry. If the growth is heavy, more than 1/8” thick of algae or covered with barnacles or Zebra Mussels, use Aurora Algae Strip. If it is lighter or only a stain remains, use Aurora Waterline Stain Remover, to get your bottom clean. Algae Strip is designed for removing heavy thick growth and will soften barnacles to facilitate removal and then can be re-applied to dissolve the barnacle rings or Zebra Mussel tentacles. Waterline Stain Remover has powerful surfactants that allow it to penetrate into the pores of the gelcoat and get the stain out. Both are applied with a plastic cored paint roller and left to work for 20 to 30 minutes and then rinsed off with a garden hose. In some cases, where growth is heavy or staining severe, re-application may be necessary until the bottom is clean. I recommend cleaning the bottom with Aurora Boat Scrub and a damp sponge after to remove dirt, stains, scuff marks and any traces of the previous cleaner that rinsing did not remove. 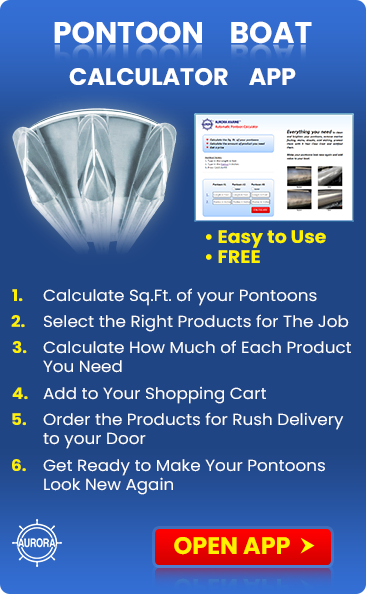 Your boat bottom will now be “Aurora Clean” and ready to apply a protective coating. To clean aluminum outdrives or other underwater metal surfaces, use Aurora Algex. It is a fouling cleaner that is especially designed for cleaning metal surfaces without attacking the metal itself. Toxic bottom paints or antifouling paints are under pressure by environmentalists and governments because they are non specific and cause considerable damage to the environment and eventually to humans, while killing marine growth that comes into contact with it. They have already been banned by several European countries and are likely to be banned in North America in the near future. I suggest not using this type of protection if you can avoid it. Some states prohibit Do It Yourselfers from working with these paints because of potential impact on the environment. 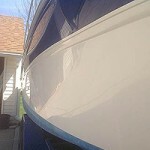 An alternative way to protect your boat bottom is with VS721 Bottom Coat. It is a clear, shiny, polymeric coating that is easily applied like a conventional liquid wax. Simply wipe it on, rub it into the pores to seal them, and wipe away the haze. It’s self-polishing so there is no heavy buffing to get results. Two coats will last all season and there is no sanding, painting, taping or scraping. 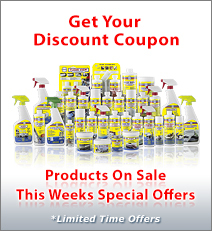 There is no build up from season to season so there is no need to sand, scrape or otherwise remove old coatings. The only preparatory work required is to make sure the bottom is cleaned and deoxidized with Boat Scrub before application. The way that it works is that the VS721 Bottom Coat polymer is super slippery, more slippery than water, and as a result marine growth has a difficult time attaching. 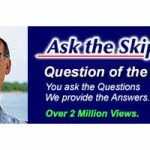 Of course slime will eventually attach, but running your boat through the water or wiping the bottom with a sponge periodically will dislodge it. Aurora VS721 Bottom Coat is impervious to water and also seals the pores in the gelcoat. This preventing fouling from growing in the pores and also preventing the migration of water into the fiberglass preventing the formation of osmosis blisters. Additional benefits are better performance for your boat including higher top speed, better acceleration, easier planing, reduced fuel consumption. 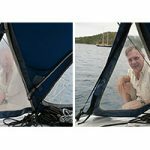 better light air performance for sailboats and better ap0pearance. Sailors have reported speed increases of ¼ to 2 knots and power boat owners increases from 1 to 10 mph. It was even used to win the APPBA F1 Class World Championship, National Championship, Central Division Championship and more. Aurora VS721 Bottom Coat has been proven in fresh and salt water from northern Canada to Florida. As an antifouling, it performs as well as all but the most toxic of antifouling paints, but since it is inert, has no impact on the environment. There are no governmental restriction on this product and can safely be used by those wishing to Do It Yourself.